Los Angeles police have arrested four suspects in connection to a string of burglaries at homes of athletes, singers and other celebrities. 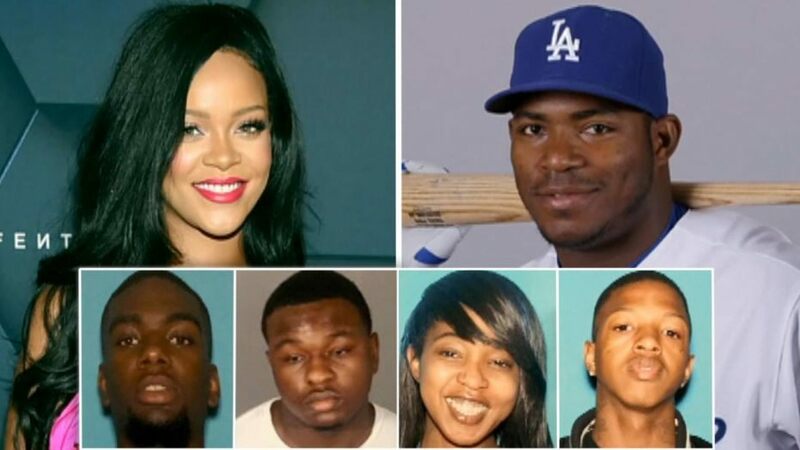 Victims of the burglaries included athletes like Dodger Yasiel Puig and Rams receiver Robert Woods, as well as singers Rihanna and Christina Milian. The burglaries were carried out by an organized crew that tracked the celebrity’s movements and travel schedules via social media and drove expensive cars to case wealthy neighborhoods in advance, police said. Police say they also found a list naming more than a dozen other potential celebrity targets, including LeBron James, Viola Davis and Matt Damon. They hit the homes quickly, grabbing cash, jewelry and firearms and fleeing within minutes before the alarm company would respond or police would arrive. “They flock like birds to areas where the rich and famous resided,” Captain Lillian L. Carranza said. 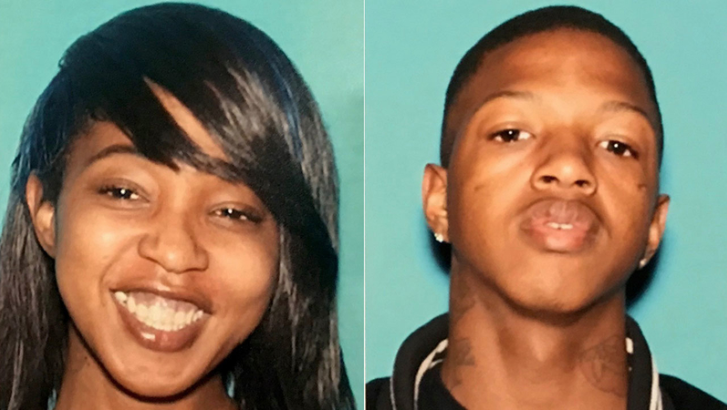 The suspects were caught after they were stopped on an unrelated violation recently in South Los Angeles not long after Woods’ home in Woodland Hills was hit. Police say they found a firearm and stolen property belonging to Woods in the vehicle. That led to warrant searches which recovered more than $50,000 in cash, plus watches, jewelry, designer purses and other luxury items belonging to their celebrity targets. 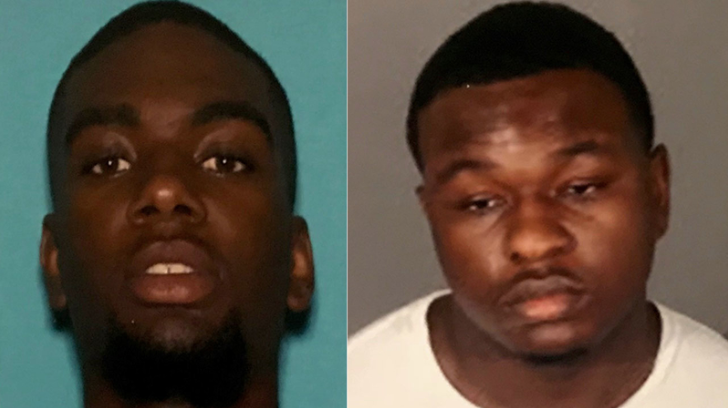 The suspects were identified as Jshawne Lamon Daniels, 19, Tyress Lavon Williams, 19, and Damaji Corey Hall, 18. In addition, Ashle Jennifer Hall, the 34-year-old mother of one suspect, was also arrested for grand theft. Los Angeles police released surveillance video of two burglary suspects inside Dodger Yasiel Puig’s home last week. Puig’s Encino home was ransacked in September. Surveillance video captured the suspects rummaging through the athlete’s upstairs bedroom. The suspects also dragged a safe down a flight of stairs, causing $10,000 in damage. He wasn’t home during the burglary, and was playing a game at Dodger Stadium. It was reportedly the fourth time his home was broken into. Last Thursday, Robert Woods’ Woodland Hills house was burglarized during a Rams game at the Coliseum. Also last week, Rihanna’s Hollywood Hills home was targeted by burglars.